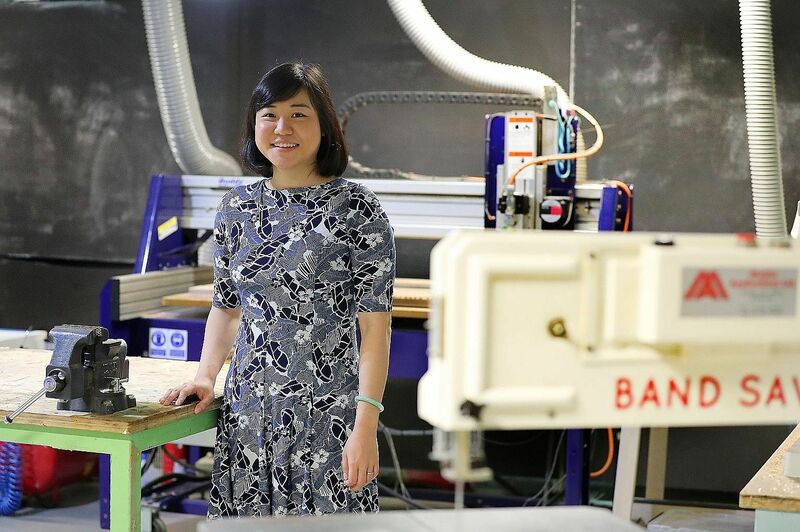 Ms Lee Pin Qi, chief operating officer and co-founder of Maker Ed Asia, works with schools and teachers to incorporate new programmes and approaches in education. She said that in pursuing her social goals, she also has to earn an income. But satisfaction for her comes from the effect on society and not just the money earned. Plan A used to revolve around landing a secure job in a big company, but more young people are now keener on entrepreneurship, with some even taking the plunge to start their own businesses as soon as they leave school. Universities have responded to the trend by introducing more courses for budding entrepreneurs, with the latest unveiled earlier this month. Singapore Management University (SMU) announced the launch of a new social entrepreneurship programme to help pre-university students become future social innovators. This builds on the school's move in 2016 to set up an entrepreneurship major with modules that teach students about developing low-cost, quick consumer experiments, global entrepreneurship opportunities and the relationship between play and invention. While the major started with only two students, this number grew to 23 in 2017 and 32 last year. The National University of Singapore (NUS) Business School added a new specialisation in innovation and entrepreneurship for undergraduates in 2017. In addition, over the last 10 years, more than 370 companies have been set up by alumni from the NUS Overseas Colleges programme, and many were established while they were still at NUS. Corporations are starting to appreciate and hire people who have had start-up experience. This general understanding helps to encourage students to start their own businesses as a way to accelerate their growth and careers. MR HAU KOH FOO, director of SMU's Institute of Innovation and Entrepreneurship, on the changing mindset of big companies. Dr Lily Chan, chief executive of NUS Enterprise, said: "There is an uptrend in students proactively seeking out entrepreneurship-related learning opportunities, such as at entrepreneurship events like our Kopi Chats and workshops, industry-specific accelerator programmes and challenges." The Kopi Chats are a series of talks for the start-up community, organised by NUS Enterprise. Nanyang Technological University has also introduced tie-ups with companies to help students be more innovative in tackling real-world business challenges. Some of these collaborations involve companies like supply chain solutions firm YCH and Singapore Airlines. Mr Hau Koh Foo, director of SMU's Institute of Innovation and Entrepreneurship, said more young people are able to become entrepreneurs because of the increased support through grants and programmes. He said: "The Startup SG grant, for example, (through Enterprise Singapore) provides first-time founders up to $30,000 to work on their ideas. "In addition, Enterprise Singapore supports the creation of an entrepreneurial ecosystem of incubators and accelerators that help founders with financing, knowledge and network. This creates a strong support structure that promotes start-up success, making it easier for one to be an entrepreneur." Another factor driving would-be entrepreneurs is the wealth of publicity founders of local and international start-ups attract. "Students are emboldened with the confidence that they could be the next success stories," said Mr Hau. "Also, the general acceptance that start-up failures are beneficial for growth has made the fear of failure less of an impediment for students." Events celebrating young entrepreneurs also help to cast a shine around such career choices. Last month, the Young South-east Asian Leaders Initiative Summit was held here, attracting 120 people from the region, including eight Singaporeans, with leadership or entrepreneurship capabilities. More importantly, the mindset that working in a big company is better has shifted, as graduates start to see start-ups as a way to rise through the ranks. Mr Hau said: "Due to a relatively flat hierarchy and limited resources at the beginning, start-up employees or founders typically end up learning and doing everything that needs to be done to grow a business. "Corporations are starting to appreciate and hire people who have had start-up experience. This general understanding helps to encourage students to start their own businesses as a way to accelerate their growth and careers." Dr Chan from NUS added: "There is a shift in the mindset amongst youth, with a greater willingness to take risks and pursue causes they believe in. Entrepreneurship as a career path or goal is also slowly gaining acceptance amongst the young, their contemporaries and parents." Entrepreneur Lee Pin Qi already had three start-ups under her belt by the age of 29 - a striking testament to her willingness to take risks and live with the consequences. Ms Lee was one of eight Singaporeans who made their mark at the Young South-east Asian Leaders Initiative Summit held last month to bring together young people in the region with leadership and entrepreneurial capabilities. The event, which started in 2013, is the United States government's signature programme to strengthen leadership development and networking in the region. Ms Lee told The Straits Times: "A growth mindset, the belief that I can learn to do anything (new), was something that I recognised I had. It gave me the confidence to venture into something different, yet still is aligned with my goals. "In general, I am also willing to undertake as much risk as I can bear the consequences for." While she was still at university, Ms Lee started Salt Solution in 2012, a for-profit social enterprise that conducted service learning training for volunteers and volunteer leaders. That led to her second start-up, Etch Empathy, in 2014, which conducts programmes that help people empathise with others. Salt Solution was dissolved about three years ago to focus on her new start-up. Ms Lee is also the chief operating officer and co-founder of her third venture, Maker Ed Asia, which works with schools and teachers to incorporate new programmes and approaches in education. The firm also developed maker spaces in primary and secondary schools, which are collaborative work-spaces for learning and exploration. Ms Lee has had to pursue her social goal while also earning an income. "Our social cause is quality education, and we serve a need in schools to provide quality solutions to our partners," she said. "Hence, we are proud to charge a reasonable sum for our services. "Some customers may need a little reminder of the fact that we are just like any businesses that have bills to pay, but they are reasonable partners who would understand immediately when explained. When I first started my entrepreneurship journey, a wise social entrepreneur told me, 'Without money, all you have is good intentions'. "This serves as a reminder from time to time, both to ensure I keep focus on my good intentions, and to remember to earn a decent keep." Ms Lee is aware that such social enterprises still have to meet the bottom line, but in the end, satisfaction comes from the effect on society and not just the money earned. "One of the things that has brought me the most satisfaction is when teachers, or my clients, tell me that the students remember my programmes at the end of the year. Making purposeful programmes that are fun and memorable is something I take pride in." Going from the army to starting your own business is a drastic career switch but it was one Mr Joe Tan was daring enough to make. Mr Tan, 35, served in the military for 11 years and rose to the rank of captain. But he shed the uniform four years ago to enter the corporate world. That career switch landed him at the Young South-east Asian Leaders Initiative Summit last month alongside other entrepreneurs. He said: "I started off wanting to take a break from work, so I decided to start something that I like. That thing turned out to be Love Action Project, which runs social events that will impact society positively." Mr Tan is the co-founder and director of the business, which started as a pro-bono enterprise before becoming a for-profit social business in 2014. "It struck me one day that running the project could be (financially) sustainable, when a corporate came to me to ask if they could pay me to engage me to manage their corporate social responsibility (CSR) event," he said. However, the early days of being an entrepreneur were not easy and Mr Tan found himself taking on side jobs. "The profit was not stable. I started working on the side as a copywriter helping businesses with their business proposals. I even did copywriting for commercial advertisements and scripts ." These stints were good learning experiences, he added. 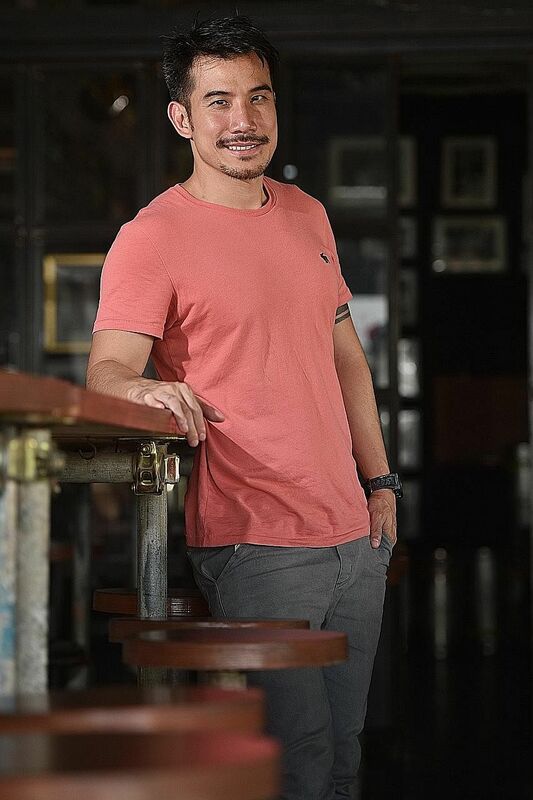 In 2017, he ventured into food and beverage and is now the director of The Tuckshop - Assembly, a community bar near the Geylang Canal. The space aims to be a meeting point for locals and expatriates to engage over craft beer and food. Last year, Mr Tan also became the chief executive of Highlight Media International, the commercial event arm of Love Action Project. Looking back, he said one of the most important things he learnt was to embrace failure. "In my early days, I made over 15 pitches to various organisations and all of them loved my idea but none of them wanted to fund me," he said. "I still remember that when there was finally one organisation who wanted to fund me, the amount they offered was $500. It was disheartening but, as I persevered, I finally got support from an organisation who gave me an opportunity to conduct their CSR event and from there, everything just took off. "You have to accept failure, and embrace it as a learning lesson. Don't be afraid to change, evolve and you must persevere." While most businesses think of the bottom line, keen innovator Veerappan Swaminathan decided that money and sustainability could go hand in hand. Mr Veerappan, 33, is the co-founder and director of Sustainable Living Lab, a consulting firm that aims to help other companies and organisations engage in sustainable growth through programmes and technology. The firm provides service innovation and community engagement programmes. It also looks into disruptive technologies, such as machine learning and the Internet of Things, sustainable innovation models and community thinking. His work led Mr Veerappan to be among the Singaporeans invited to the Young South-east Asian Leaders Initiative Summit last month. It was really just about being willing to try things out that got him there, he said. "One does not learn to be an entrepreneur. You have to try things and put yourself out there. If you're slightly older, get involved in sales. Selling anything will offer a good education in the art of persuasion." 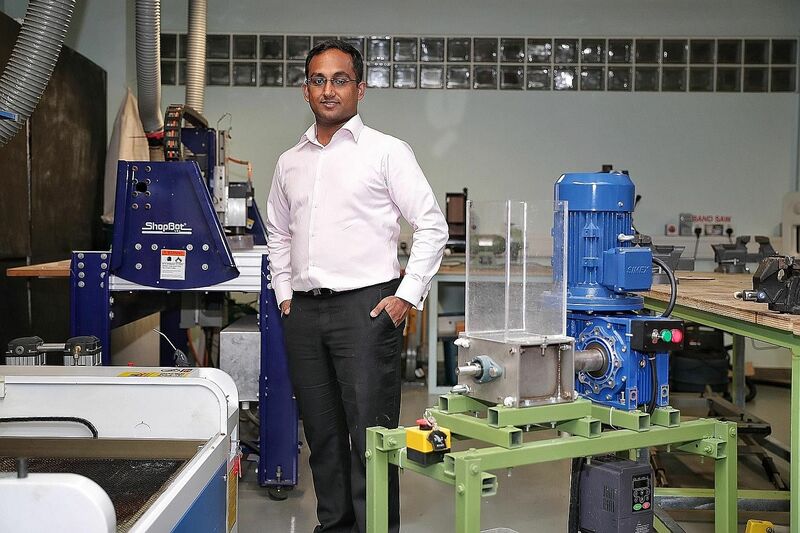 Mr Veerappan founded the firm in 2011 with two friends right after he graduated from the National University of Singapore, having studied mechanical engineering. One does not learn to be an entrepreneur. You have to try things and put yourself out there. If you're slightly older, get involved in sales. Selling anything will offer a good education in the art of persuasion. MR VEERAPPAN SWAMINATHAN, co-founder and director of Sustainable Living Lab, a consulting firm that aims to help other companies and organisations engage in sustainable growth through programmes and technology. During his undergraduate years, he took part in 11 innovation competitions. He won seven and used the prize money to set up the company. It is not that unusual to do business and also try to benefit the community, he noted. "The key is not to think about it in a dichotomous fashion. We spent time to set up a system in which benefiting society and achieving financial profit could go hand in hand. "For example, our community programmes serve as a way for us to attract and develop talent." In 2014, it started an initiative called Repair Kopitiam to tackle the buy-and-throw-away culture by teaching people the skills needed to repair electrical appliances. "The Repair Kopitiam programme is something we've been very proud of because of how it combined social inclusion with e-waste reduction and skills training," he said. Ultimately, inspiring others is what makes him the most satisfied: "Seeing the change in habits of those who participate in our community programmes and our clients also brings me great joy."